Starting in 6th grade, Senior Josiah Trawick’s love for football began. Trawick is known to many people as a captain, and a leader. 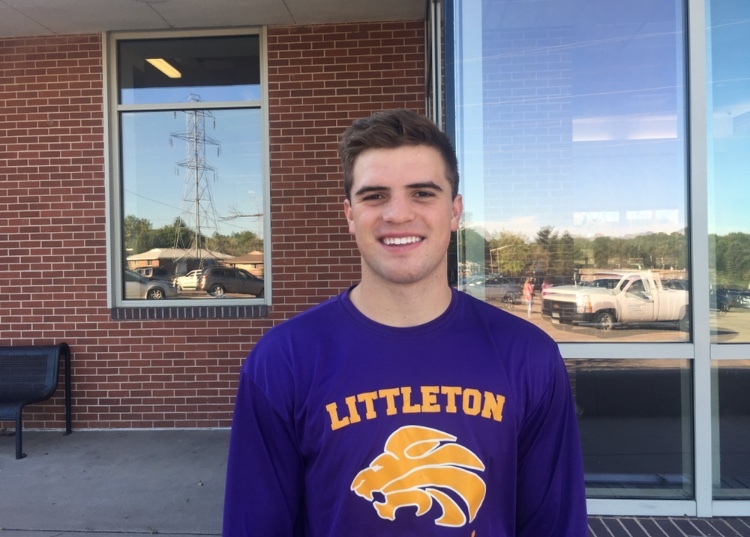 As he started his football journey at Littleton, he immediately knew he wanted to be someone the players looked up to. “Since freshman year, I knew I wanted to be Captain. I’ve been working for it for a long time and it feels really good,” said Trawick. He took in information and experiences from his captain’s from years before and to him, they played a big part in making his football experience the best possible. “They’ve always been impactful, from how they handle the leadership [to] how players improve. They are set on being successful,” said Trawick. He was the first captain to be announced and it was due to his hard work and his role on the team. Trawick’s focus for the year is to provide leadership, to ensure success and keep the team motivated. By setting a positive atmosphere and pushing his team from the beginning to the end of every practice and game, he now sees a significant improvement from years past. “Leadership really reflects how a team does so I think the seasons end will reflect how I’ve done… I hope the stuff I saw hits them,” Trawick says. With this being the final year with him and his team, he knows he wants to make it memorable for all.